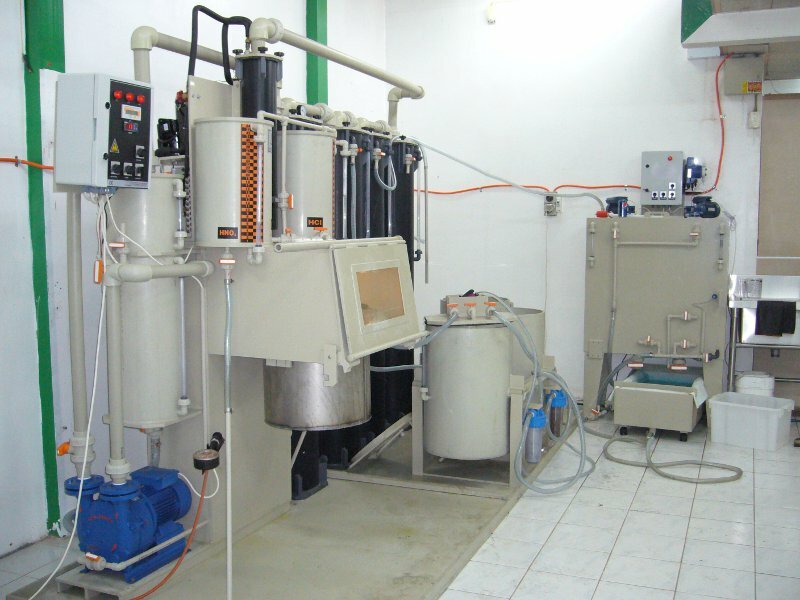 This precious metals recycling system using AQUA REGIA METHOD is an innovative invention. This latest technology is proven and used in more than 24 countries world-wide. 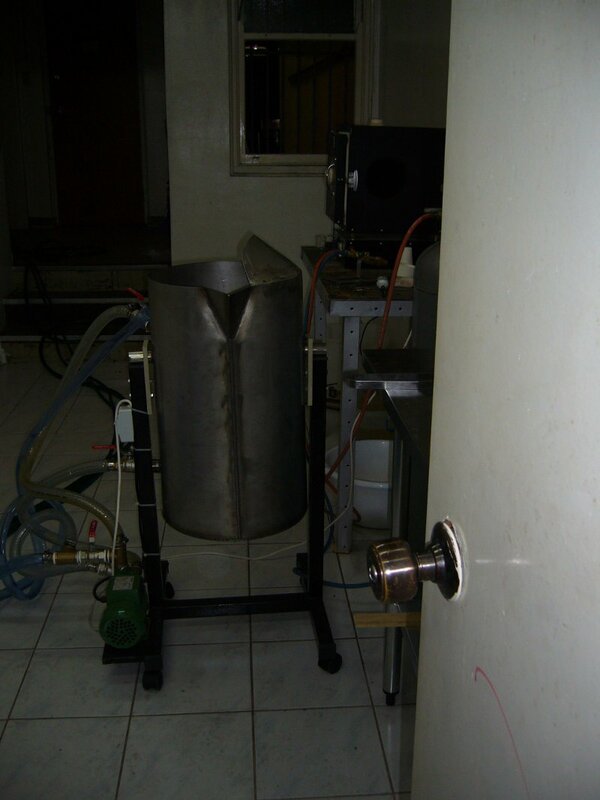 This machine can recycle precious metals like gold, silver, platinum, palladium and rhodium without producing any smell, or smoke. We are using only chemicals like HNO3 (nitric acid) and HCl (hydrochloric acid) to precipitate the soaking of the precious metals or e-waste scraps. 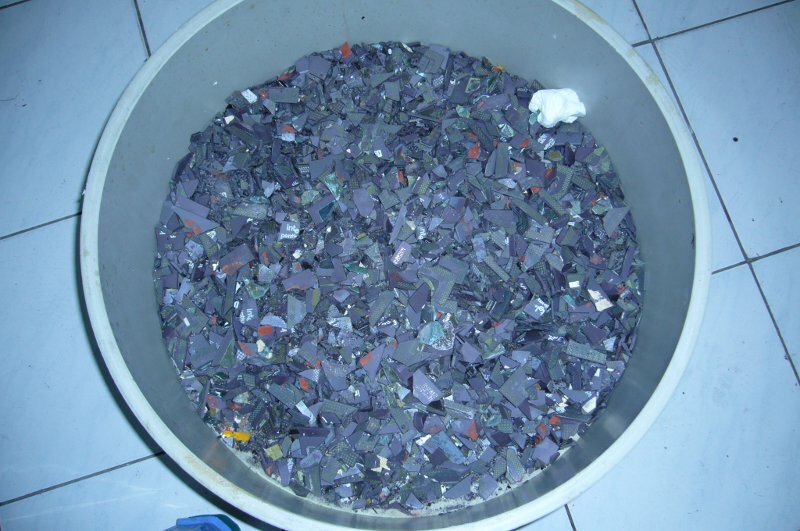 It is suitable for all kinds of precious metals scrap dust, as well as e-waste scraps. 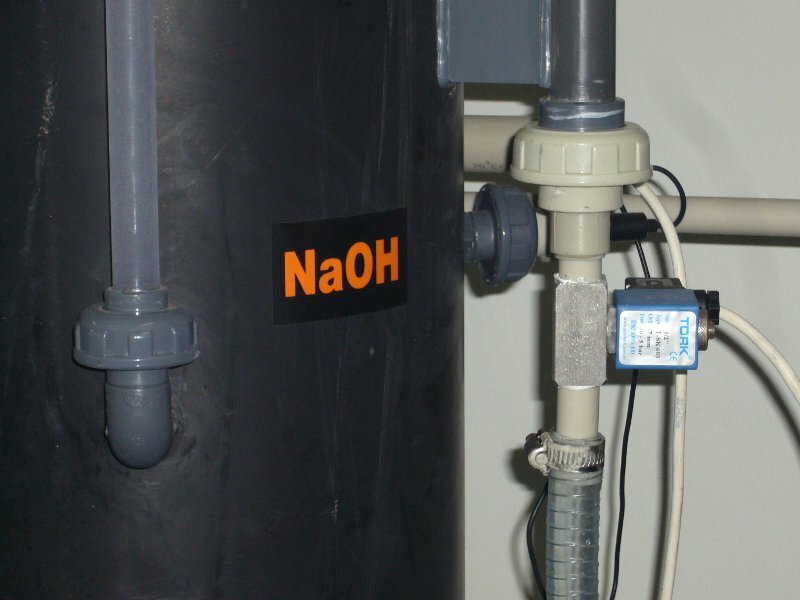 Sodium hydroxide (NaOH) or so called Caustic Soda mixed with water, is used for filtering all fumes and gases at the reactor. After the recycling process, the water solution in this system is filtered. The water becomes clean and clear with a PH value of 8. 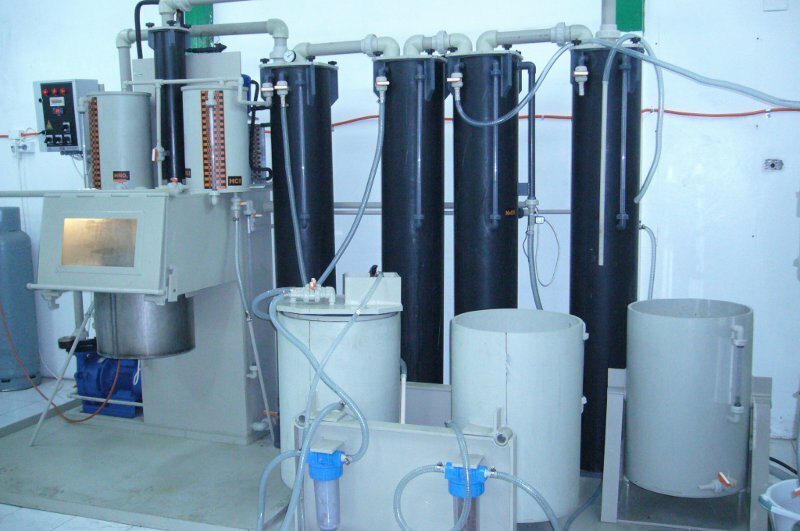 It is suitable to discharge into any drain or canal without having to install a water treatment plant. 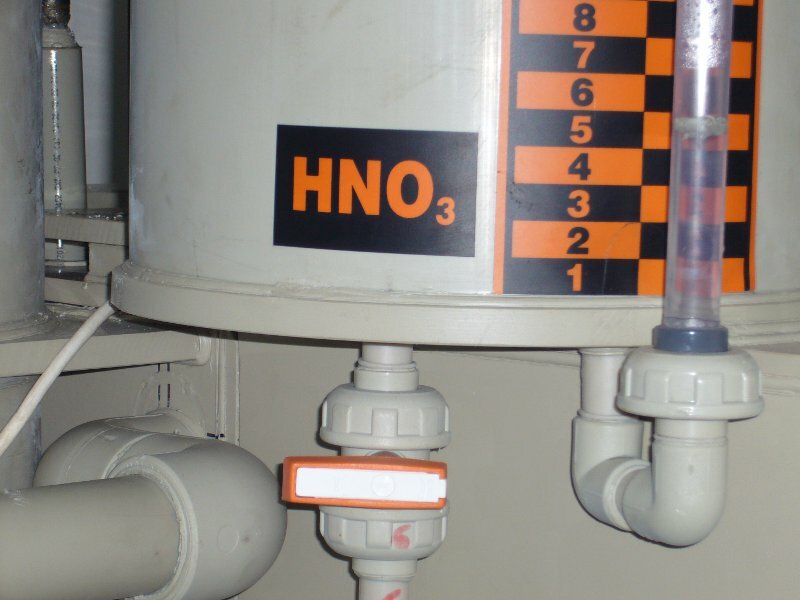 Hydrazinium hydroxide ( N2H5OH), Zinc powder and so on are used for purification and separating all kinds of precious metals. Also, the final discharges are water of PH 8 and residues sludge which you can convert to copper sulphate (fertilizers) by mixing with a little amount of sulphuric acid. 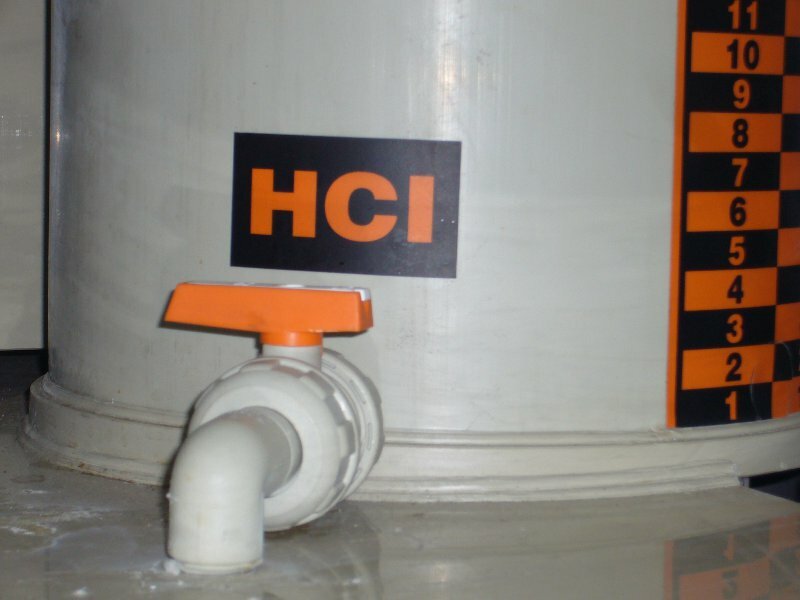 Therefore, there isn't any harmful or toxic discharges. 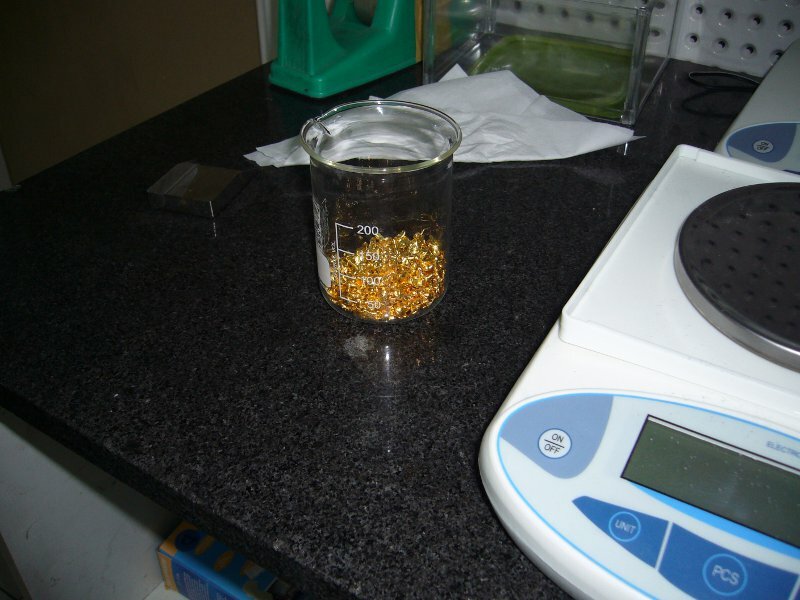 The efficiency of the recovery of precious metals is 98 to 100%. 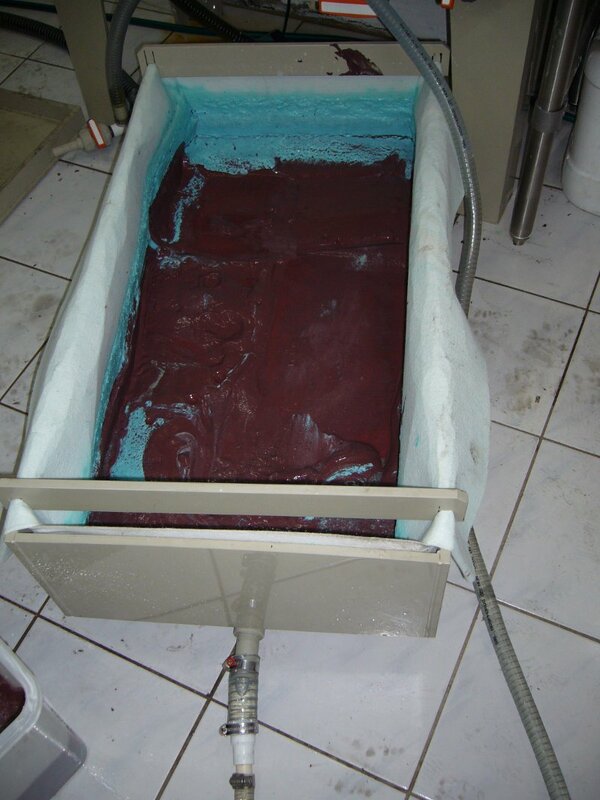 Whatever spillages onto the floor will be fully recovered easily as there is a PVC tray underneath the machinery. The reactor is made of titanium. The system is so clean that we can have our meals by the side of the machinery. There is not need for spending on additional safety devices or automatic water sprinkle system. Your money saved can be used for the investment of this system and machinery. The operators of this system will not be in contact with any chemicals or solution. All are done by vacuum suction. 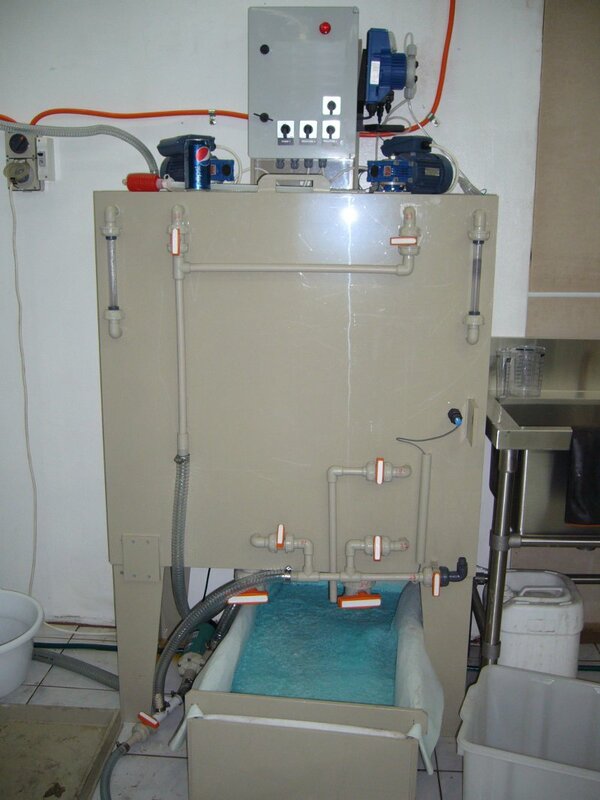 Same apply to the filling and emptying of all solution in this particular system. The operators just have to wear gloves for protection and avoid spillages of the solution into the eyes. We have just installed, commissioned and handled over a complete system. If your company is interested to have our system please do not hesitate to get in touch with us.